We’ve already talked about several different aspects of Galactron, and one important aspect of this is the way the game will handle those players who abandon their allies. That’s the topic we’ll be talking about today, but if you want to know more about the previous topics, you can catch up on all of them here on Steam Announcements. With Galactron in charge of matchmaking services and all other systems, players should no longer experience disconnects from the game if their connection to Steam stutters for a moment. And even if they do get disconnected from a match for any reason, they’ll be able to rejoin the game as soon as their connection has been reestablished. This should significantly reduce, if not eliminate, situations where you would ever disconnect from a game against your will and not be able to return to the same fight within a few minutes. While this takes away one frustration that many players have experienced at some point, that does leave another very real problem that the community faces: rage-quitters and people who routinely abandon matches. Because we’re eliminating many ‘random’ disconnects with the changes coming in Update 3.3, we are now much better able to actually identify players who purposefully leave games… and rest assured: we fully intend to punish these players much more effectively for their disruptive behaviour! In addition, we would like to do what we can to minimize the negative impact these players have on other players as well. If a player decides to leave a game, they’ll be returned to the main menu of the game. Here, they’ll have only two options: rejoin the game they just came from, or exit the game entirely. They won’t be able to queue up for a different game or enter a different match. Should the player opt not to return to their game, the game they were in will become ‘safe to leave’ after several minutes. At this point, the player that left will definitively be classified as having ‘abandoned’ the game and be locked out of the matchmaker for a while. This lockout will increase in duration if a player continues to leave matches on a regular basis. The remaining players will be able to leave the game without any additional punishment from that point on, but their rating will still be affected by the outcome of the game. If you decide to leave a game that has become ‘safe to leave’ you can immediately queue up for another game, or rejoin the game you just came from if you change your mind. You won’t get an ‘abandon’ added to your profile in that case, and won’t suffer any of the cumulative penalties we just talked about! If all players on a team have left a game, the remaining team will automatically win after a short duration, which should speed up their experience as well. 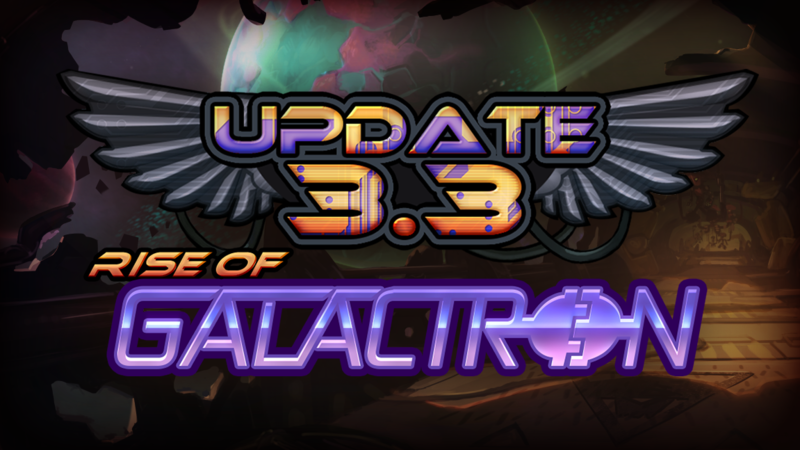 This system is available in the Open Beta which commences on August 3rd, and will go live in Awesomenauts 3.3: Rise of Galactron. We’ll continue to monitor the system and check values as we go along, like the actual duration of the Lockout, the way these punishments stack over time, and the time before a game becomes save to leave. If you have any feedback about this, please let us know!